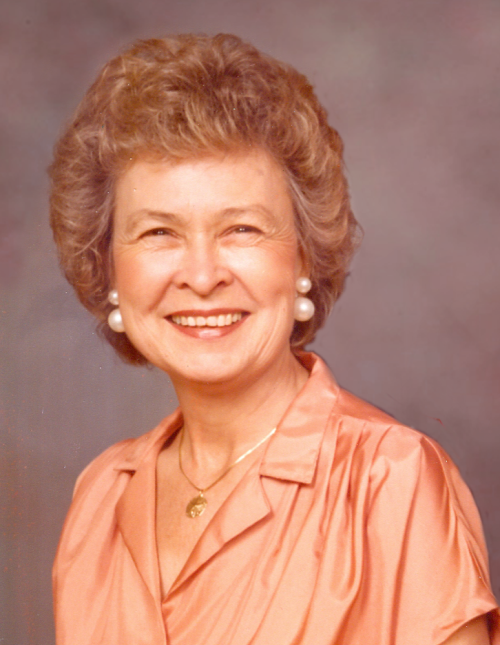 Mrs. Juanita Ann Burch Garrett, age 93, of Rome, GA, formerly of Huntsville, AL, passed away peacefully at her residence on Monday morning, March 18, 2019. Nita, as most people knew her, was born on February 25, 1926, in Covington, VA, daughter of the late Bessie and William W. Burch. She married the love of her life, Robert Shirey Garrett, in 1946, and together they made their way to Huntsville in 1957. Nita and Bob were one of thirteen original couples who founded Faith Presbyterian Church of Huntsville in 1958 and both were very active until Bob’s passing in 2010. She moved to Rome in 2012 and loved antiquing and spending time with family. Nita is survived by a daughter and son-in-law, Robyn Lynn Garrett Fukushima and her husband, Alan of Henderson, NV; son and daughter-in-law, Gregory Alan and Bobbie Garrett of Rome; three grandchildren, Michael (Suzanne) Garrett, Casey (Susie) Garrett, and Sara Fukushima. Seven great-grandchildren also survive. A memorial service to honor Nita’s life will be held on Sunday, March 31, 2019, at 3:00 p.m. C.T. at Faith Presbyterian Church with Dr. Tom Lovell officiating. The family will gather following the service to receive friends. There will be a private interment at Maple Hill Cemetery. In lieu of flowers, memorial contributions may be made to Faith Presbyterian Church, 5003 Whitesburg Drive, SE, Huntsville, AL, 35802. The staffs of Salmon Funeral Home of Rome and Laughlin Service Funeral Home of Huntsville are honored to serve the family of Juanita Ann Burch Garrett.